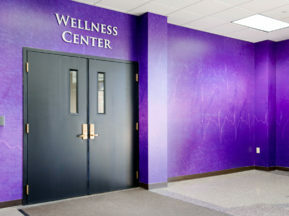 Located in the capital of New York State, the University at Albany is an internationally recognized public research institution that serves the educational needs of more than 18,000 students at the graduate and undergraduate levels. 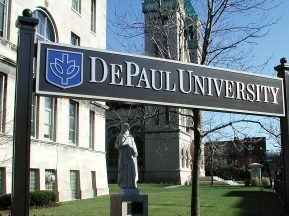 The University’s planning committee wanted to update the interior signage for the campus buildings to continue to promote the school’s updated brand identity. The updated identity features Minerva, the goddess of wisdom and the symbol of the University at Albany, centered on a golden arch. The new identity was designed by a university committee and the Albany-based firm Oberlander Design. 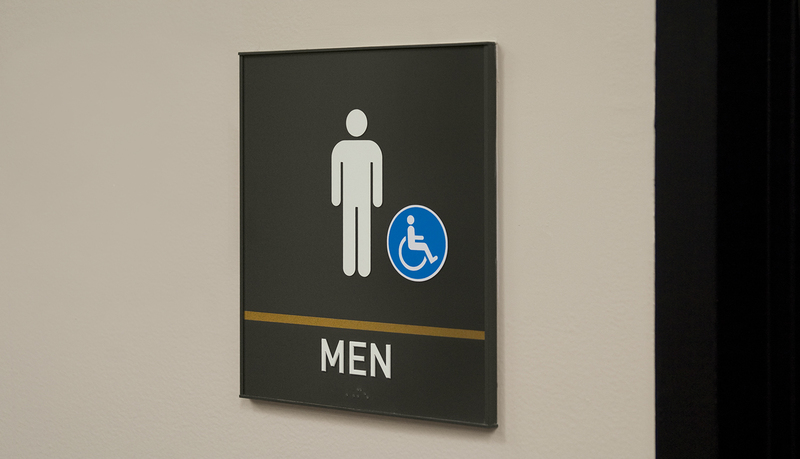 In addition, the new signage needed to be an updateable modular system and meet current ADA guidelines, as well as be extremely vandal resistant to ensure that only approved staff could make updates or changes to the graphic panels and paper inserts. 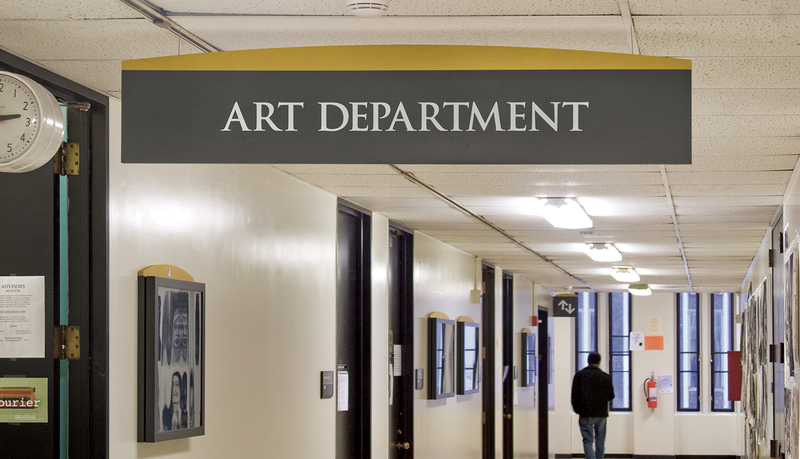 ASI was awarded a 5-year term contract to update the signage for the campus. 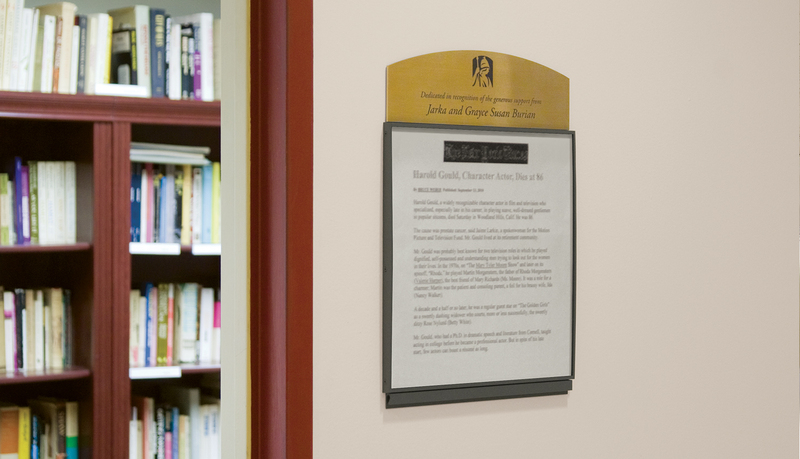 ASI used its Venus sign system as the base for all of the wall-mounted signage. 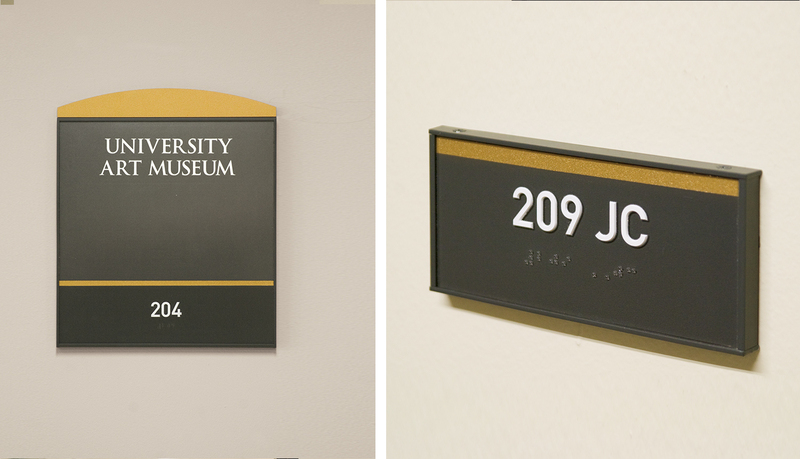 Venus is a durable, flat-face modular interior signage system based on an extruded aluminum body which ASI finished with a dark gray powder-coating to provide a consistent image across the campus. 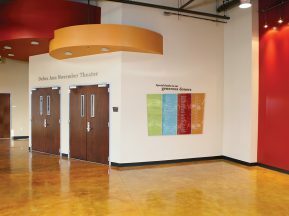 For branding, ASI fabricated a painted gold-colored arched cap that sits on top of each wall-mounted sign and features Minerva, the University at Albany’s logo. 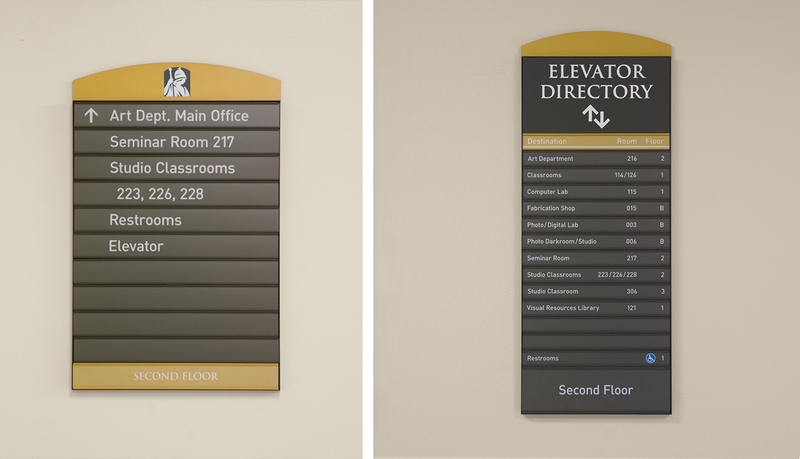 In addition to the wall-mounted signage, ASI custom fabricated suspended signs, projecting signs, and secure, tamper-proof directories and information cabinets. 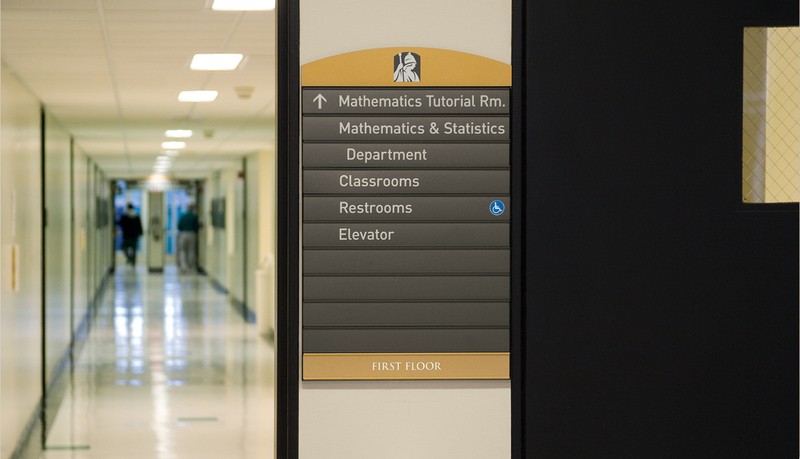 To answer the University’s concern about vandalism, ASI engineered special locking mechanisms and tools so that staff could make changes easily and quickly but access remain unapparent to students. 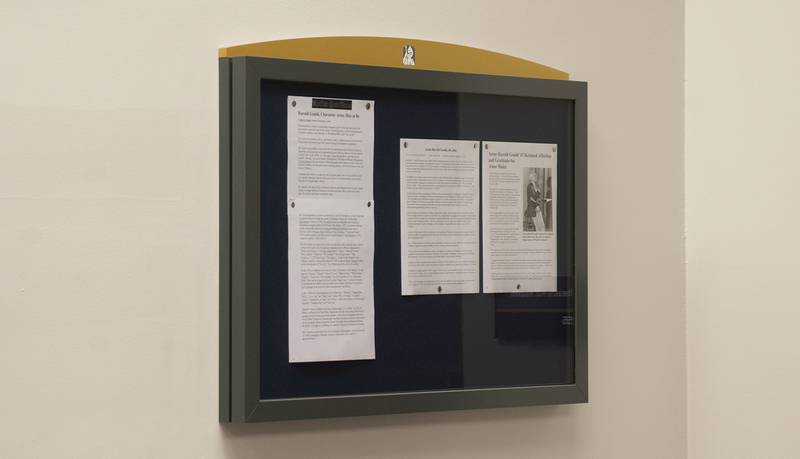 ASI also digitally printed the directory and graphic panel inserts onto the second surface of matte finished lens. 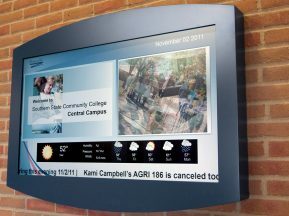 The second surface printing technique prevents vandalism to the printed graphics, and the thickness of the inserts creates a tight fit into the aluminum frame, which keeps students from removing the lens inserts.